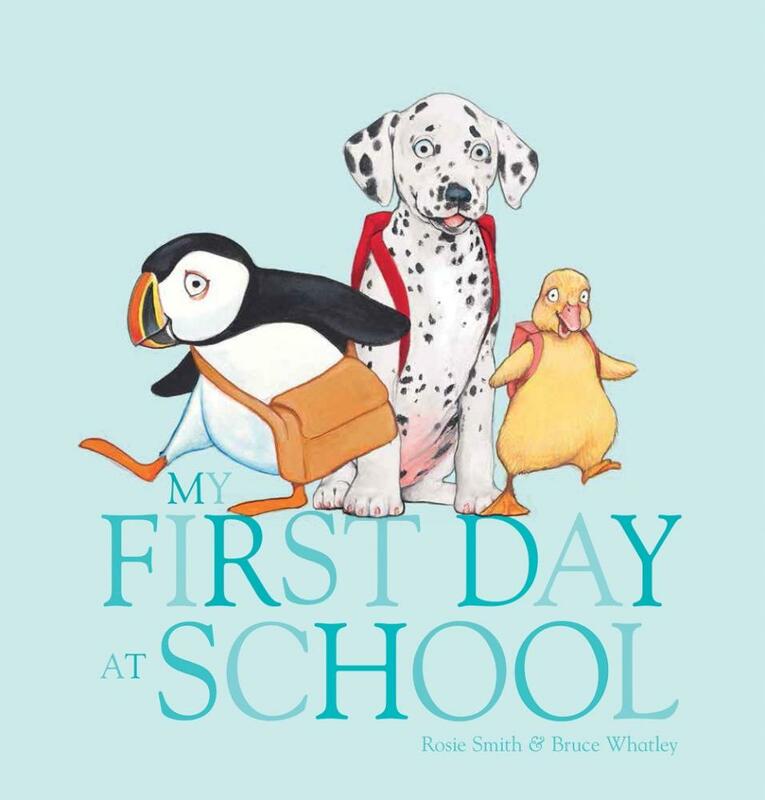 Sparsely worded, My First Day at School by the popular team of Rosie Smith and Bruce Whatley, is a colourful, bright and cheerful picture book. 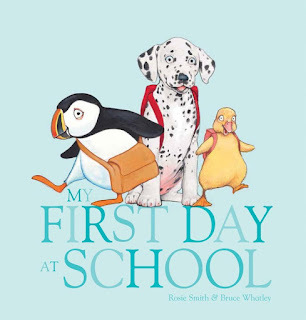 The illustrations offer a fun twist to the words, each page showing a different baby animal on their first day of school. ‘I dress myself’ has a picture of a centipede with socks on all his feet while ‘finger paint’ has a picture of an octopus. Each double spread has a different coloured background - all soft pastels with adorable baby animals - showing the action of the text with no extra detail to confuse the sentiment of the words. This is a gentle, sweet and cohesive story which will engage young children. It may also help with any anxieties about child care or pre-school by presenting a sense of the fun and friendship.